The M Performance roadster ought to be a real hoot. With models like the Z1, Z3, and Z8, BMW has a strong history in producing two-seat roadsters. 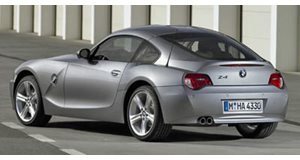 But it's been a couple of years since it discontinued the last Z4, and by that point it had grown a little long in the proverbial tooth. Fortunately it has an . And judging from these latest photos and video, it looks poised to live up to the task. Though still disguised ahead of its big debut, the Z4 pictured here is the M40i variant – which will likely be the top performance version. That is, at least, until a full M model arrives to supplant it, if one ever does. In the meantime, the new BMW Z4 M40i will pack an inline-six, a lowered sport suspension with electronic dampers, and a front axle, wheels, brakes, and rear differential all specific to the M Performance model. Though the basic underpinnings have been jointly developed with Toyota's forthcoming new Supra, the Bavarian automaker has been fine-tuning the package on its own. And that includes testing at Miramas – a circuit on the French Riviera (near Marseille) that once played host to the French Grand Prix. It's now owned by BMW, which uses it as a test track and likens it to the Nurburgring. The facility includes a high-speed oval, handling courses, slalom and skid pads. The manufacturer notes, for example, that the adaptive suspension and limited-slip differential on the Z4 M40i is being tested on the same circuit used by the racing division – which bodes well for the new roadster's handling.